Steve Cameron: Science Fiction & Fantasy Author: Outside World. I'm pleased to announce I've finally made the pages of Aurealis. Issue 80 includes my story, Outside World. 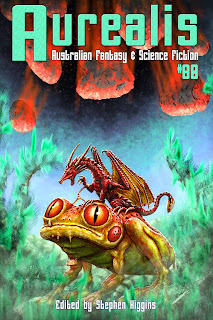 I first picked up a copy of Aurealis way back in 1990 as I passed by a news-stand at the station. (Yes, I paid for it.) Issue #2, with artwork by Shaun Tan and stories by Damien Broderick, Rosaleen Love, Paul Collins and Stephen Dedman, among others. Little did I know that one day I would be writing and they would actually publish one of my stories. Outside World is a story of immigration, a story that has its roots in two other tales I read. The Arrival by Jean Arasanayagam, and Sky Burial by Xinran. I was in Sri Lanka, climbing Little Adam's Peak and thinking about these stories when the idea for this piece popped into my head. Not fully formed, unfortunately. In fact it took a lot of consideration, several rewrites and a major change in the ending after critiques from my friends at SuperNOVA writing group. It would have made a great story to tell at drinks if I'd been climbing Adam's Peak rather than Little Adam's Peak, for that is where Arthur C. Clarke was when he looked up and imagined space elevators for the first time. 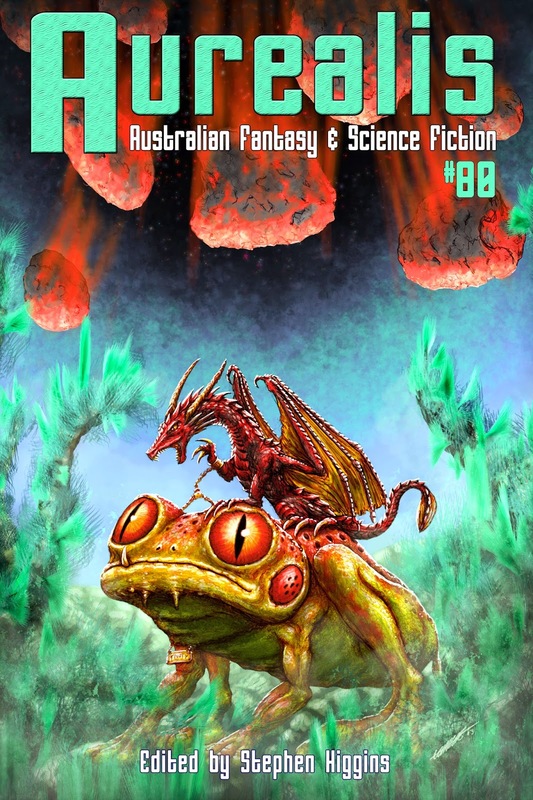 Aurealis 80 is available here.